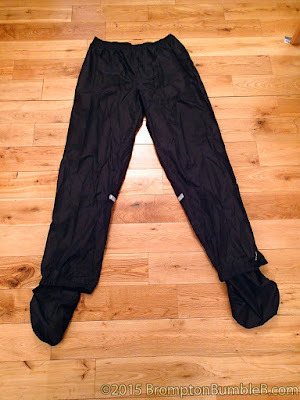 I’ve been looking for another pair of over-trousers for awhile now as the Altura Nightvision Overtrousers are pretty heavy & don’t pack small enough for my tastes. 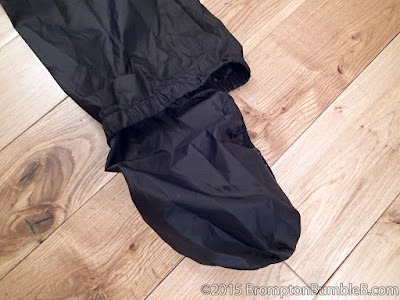 Needed something lighter that could be packed away easily so I came across these B'Twin 300 Waterproof Cycling Overtrousers at my local Decathlon UK store. WATERPROOFING: coated component (2000 mm) + 100% watertight seams to withstand showers of 1hr. VISIBILITY: Reflective strips on calves. COMPACT DESIGN: Clever, it packs away into its shoe cover, ready to be taken anywhere. FREEDOM OF MOVEMENT: The wide cut, designed for cycling, does not hinder pedaling. 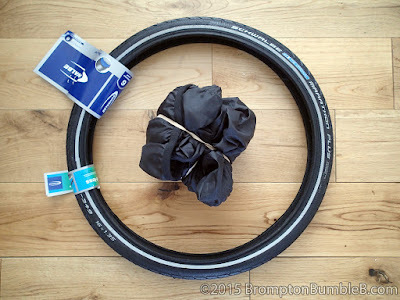 These can be folded and packed into one of the overshoes. A couple of rubber bands to hold the package together and keep it tight, with practice I could probably get it even smaller & just use one rubber band. 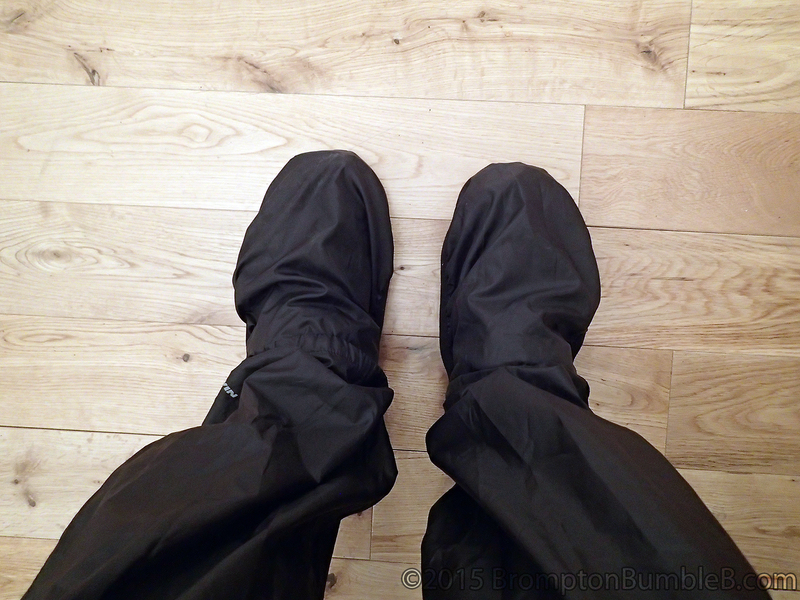 In addition to being over-trousers they also have built in overshoes to your feet don’t get wet either. I’ve worn them once on my daily commute and they worked well. I can get them on and off much quicker than my older over trousers which when out on the road or short for time can make all the difference. 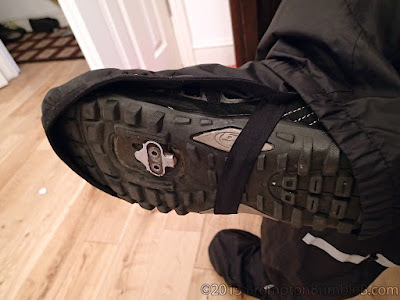 The only down side I have found is that around the calf of the trouser tend to catch on the crank arms at times because the trousers are so baggy at that point. A couple of velcro strips around this area would solve this problem quiet easily.